Mayor Cerino called the Mayor and Council meeting to order at 7:30 p.m. In attendance were Councilmembers David Foster, Linda C. Kuiper, Rev. Ellsworth Tolliver and Mauritz Stetson, W. S. Ingersoll (Town Manager), Jennifer Mulligan (Town Clerk) and guests. Mayor Cerino asked if there were any additions or corrections to the minutes of the Mayor and Council Meeting of May 7, 2018, and the budget workshops of May 8 and May 15, 2018. Mr. Stetson stated that he would not have brought this up if Ms. Kuiper had voted “no” as that was the way he voted. He said that apparently Ms. Kuiper changed her mind but it was not a proper vote. He said that from this point forward he would like a roll call vote. Mr. Stetson asked Ms. Kuiper if she voted that night when the question was asked. Ms. Kuiper stated that she thought she raised her hand when the question was asked. Mr. Stetson stated that he did not see her raise her hand or hear her vote. Rev. Tolliver asked what point Mr. Stetson was trying to make. Mr. Stetson stated that Ms. Kuiper’s vote was recorded as “no” in the minutes but she did not vote at the time the Council was in session. Mayor Cerino asked Ms. Mulligan how it was recorded in the minutes. Ms. Mulligan stated that a transcript was done and the motion was recorded with Rev. Tolliver making the motion and Mr. Foster seconding it. She said that Mayor Cerino, Mr. Foster and Rev. Tolliver voted in favor. Mr. Stetson said he voted no and then Mr. Stetson began arguing with Ms. Kuiper. Ms. Kuiper is heard on the recording as saying “It is going to be three to two”. Ms. Mulligan stated that upon hearing Ms. Kuiper saying the vote would be three to two it was clear to her that she was opposed and that was how the vote was recorded. Mr. Stetson stated that after the meeting he asked Ms. Mulligan if Ms. Kuiper’s vote was recorded and she told him that Ms. Kuiper did not vote. Ms. Mulligan agreed, stating that she did not actually hear her vote at the meeting but when listening to the audio Ms. Kuiper said clearly that the vote would be “three to two”. Mayor Cerino asked how it was recorded in the minutes. Ms. Mulligan stated that Ms. Kuiper’s vote was recorded as opposed, a three to two vote in favor of a 5¢ increase. Mr. Foster asked Ms. Kuiper if that was what Ms. Kuiper intended. Ms. Kuiper stated that was what she intended. Mr. Stetson stated that might be what Ms. Kuiper intended now but she did not at the time of the meeting. Ms. Kuiper stated that it was not an official vote in a workshop anyway. Mr. Stetson stated that you are supposed to vote when you are asked, not go home and call it in later. Ms. Mulligan stated that there was no phone call afterward between her and Ms. Kuiper. Mayor Cerino stated that Mr. Stetson may disagree but the minutes are accurately recorded. Mr. Stetson stated that he was going to have a roll call from now on and watch people to make sure they vote one way or the other. He said that this has happened before. Rev. Tolliver moved to approve the Mayor and Council minutes of May 7, 2018, was seconded by Mr. Foster and carried unanimously. Mr. Stetson moved to approve the budget workshop minutes of May 8, 2018, was seconded by Rev. Tolliver and carried unanimously. Mr. Foster moved to approve the minutes of the budget workshop of May 15, 2018, was seconded by Rev. Tolliver and carried with four in favor, Mr. Stetson opposed. Mayor Cerino stated that total operating cash on hand for unrestricted use is $612,183.55. A total of $79,672.83 in bills has been paid for construction work at the Marina which the Town was waiting to be reimbursed through grants, bringing the total to $691,856.38. Mayor Cerino asked for a motion to pay bills. Mr. Stetson moved to approve payment of the bills as submitted, was seconded by Rev. Tolliver and carried unanimously. Mayor Cerino called Chief Baker forward for the April 2018 police report. Chief Baker stated that the main reason for overtime was shift coverage. Chief Baker stated that the police department was able to purchase four (4) bullet proof tactical team vests with a 3-year warranty remaining at a deep discount. He said that this came at a savings of $4,000.00 to the budget. Chief Baker stated that he also changed over to Royal Farms for gas purchases, noting that he was told that there would be no annual fee and a 1% to 2% discount on all purchases. Mr. Ingersoll introduced Ordinance 02-2018 Budget for FY2019. He said that there were three (3) preliminary budget workshops and this was an extremely difficult year to match revenues with expenses. Mr. Ingersoll stated that the ordinance can be adopted on June 4, 2018 and would become effective June 24, 2018 with the budget to begin on July 1, 2018. 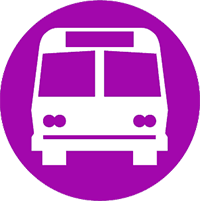 There will be a public hearing on June 4, 2018 at 7:00 p.m.
Mr. Ingersoll stated that this budget was balanced by an anticipated raise of $.05 in taxes. He said that he researched back to 1991 and the last time the Town changed taxes was in 2006 where the Town actually gave the taxpayers a $.01 decrease. Mr. Ingersoll stated that the chart also showed the tax differential (grant in aid) and how it diminished over the years to zero in 2014, even when the Town asked them to consider that Chestertown’s public safety is up to $1.8 million in the budget and public works is at $1.2 million. He said that he has been told by the County that there would be no tax differential this year but the Town was “on their radar”. Mr. Ingersoll stated that this would be the first tax increase since the decrease passed in 2006 and was absolutely necessary. Mr. Ingersoll stated that the preliminary budget process was started with no capital improvements whatsoever and there were streets that needed work. Mr. Ingersoll stated that the Town has tightened their belts through the “great” recession and have kept them that way until now. He said that he hoped for an increase in the accessable base, which has remained fairly flat for almost 10 years. Mr. Ingersoll stated that the Town has commitments and services that they did not want to see diminished and revenues were expected to be $6,053,131.00, much of which is grant money for the marina renovation. Total expenses were $6,043,733.00. There would be $150,000.00 for street repairs in the budget. Mr. Ingersoll stated that in the effort to be business friendly, the Town created 1,200 acres of enterprise zone, the fruits of which are beginning to be seen in a major campus project behind Washington Square. That will pay dividends in taxable base, but only after seven years. 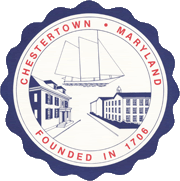 Mr. Ingersoll stated that he hoped the County would consider reinstating the tax differential, or giving it back to the Chestertown tax payer, as it had ceased in 2014. Mr. Ingersoll introduced Ordinance 03-2018 Waters and Sewers Revision. He said that the Town anticipated raising the water and sewer rate structure by 9.4%, the first increase since 2014. Mr. Ingersoll stated that the Town did not want to stop the pace of improvements and infill in Chestertown, so basic hookup fee units would remain at $4,000.00 for water at $4,000 for sewer. He said that this Ordinance can be adopted on June 4, 2018 and would become effective July 1, 2018. Mr. Ingersoll stated that he has held off on any capital improvements in the Utilities Budget to date but would like to be able to place them in the budget. Mr. Ingersoll stated that the most serious news is that taxes will have to be increased for the first time in decades. He said that the Town has been conservative over the years and living within their means out of consideration of the plight of the tax paying residents during the hard times of the recession. Real estate recovery may be taking place, but this year the revenues are still flat. Mayor Cerino asked for a motion to appoint Mr. Jeffrey Coomer to the Historic District Commission. Rev. Tolliver moved to appoint Mr. Coomer to the Historic District Commission, was seconded by Mr. Foster and carried unanimously. Mayor Cerino asked for a motion to appoint Mr. James Bogden to the Recreation Commission. Mr. Foster moved to appoint Mr. James Bogden to the Recreation Commission, was seconded by Rev. Tolliver and carried unanimously. Mayor Cerino stated that there was a press release regarding the Marina that went to the news outlets. He said that over $770,000.00 has been received in private or pledged donations to the Marina. He said that these private donations can be used as the 1-to-1 match required for grant funds from the Waterway Improvement Funds (through Maryland DNR) which are paying for the docks and the bulk heading. The private donations are basically doubled because for every dollar received and the Town can spend a dollar of grant money that has been waiting for a match. Mayor Cerino stated that there may still be a need for a final push to bring the project to full completion. He said that there will be naming opportunities for piers, boat ramp, etc. and was looking to hold a public meeting sometime mid-June 2018. Mayor Cerino asked for ward reports. Mr. Stetson stated that he attended the COG meeting on May 16, 2018. He said that Bernadette Bowman was a speaker and she said that there was $60,000,000.00 in tourism dollars received throughout Kent County each year. He said that she was starting a new campaign to try to get visitors to stay for more than just a day trip. Mr. Stetson stated that he attended a fundraiser for Horizons and said that it was a good program designed to allow underprivileged children the opportunity to have a camping experience, with an academic component as part of the program. Mr. Stetson stated that a tree was lost in Bailey Park during the windstorm last week. Mr. Stetson stated that he would like to install pavers at the entrance to Bailey Park off of Rolling Road. He said that the water was ponding during and after rain storms. He said that he would install the pavers. Mr. Foster moved to approve the Friends of the Dog Park installing pavers between the gates at the entrance to the Dog Park, was seconded by Rev. Tolliver and carried unanimously. Rev. Tolliver stated that he has been approached by several candidates running for election this year. He said that Congressional Candidate Jessie Colvin was going to tour the Third Ward with him on June 7th. He said that he was hoping Mr. Colvin would notice some of the needs in Chestertown. Ms. Kuiper stated that due to the rain the streets have not been painted, but Mr. Sappington assured her that the streets would be cleaned before the Tea Party. Ms. Kuiper stated that the Festival would close at 4 p.m., to allow the Town Crew additional time to clean the area. Ms. Kuiper stated that there would be two Clydesdales at the foot of High Street on Friday night for the block party and there were also horses making appearances at Pip’s, the Blue Bird, and JJ’s Deli on Wednesday. There will be a meet and greet with the Clydesdales after the parade at the Wilmer Park until noon. Ms. Kuiper stated that the Clydesdales do not come out if it is raining. Ms. Kuiper stated that there would be over 30 additional artists in attendance at the Tea Party this year as well as some new additions to the parade and the colonial village. The block party will be on Friday evening from 6 p.m. to 9:00 p.m.
Mr. Foster stated that he was learning a great deal from attending the COG meetings. He said one thing that he learned is that no other town in the county provides twice weekly trash collection. Mr. Foster stated that he followed up with Ms. Bowman of Kent County Tourism and found out the law with Airbnb’s paying taxes did not pass. He asked Mr. Ingersoll what that would mean to the Town. Mr. Ingersoll stated that he was aware that the law did not pass but the letters were still going to be sent out by Kent County to all Airbnb’s in Town telling them to pay the hotel tax. Mr. Ingersoll stated that when the hotel tax was passed in Kent County, it was immediately applied to Beds & Breakfasts and there was no reason why Airbnb’s would not be expected to pay it. Mr. Foster stated that Queen Street from Maple Avenue to High Street should be the first street to be paved as it is the worst street in Town. He said that there is one resident on the block who likes the potholes as it does cause people slow down. He said that there were stretches of Philosophers Terrace that also could be paved. Mayor Cerino asked if there were any questions or comments from the audience. Mr. John Plaskon of Cross Roads Community stated that he was checking up on the status of their budget request for $2,000.00 for dental care for their clients. Mr. Ingersoll stated that there were many worthwhile requests that had to be cut to balance this year’s budget. Mayor Cerino stated that the budget was discussed earlier and this was the toughest budgeting year he has sat through, saying that much of the discretionary spending had to be cut from the budget this year. Mr. Foster stated that the decisions to cut were based on financial needs of the Town only. Mayor Cerino stated that funding to any non-profit set a precedent for other non-profits to use the Town as a funding mechanism for their organization. He said that the Crossroads program was worthy but so was the Garfield Center. Mayor Cerino stated that it was not fair to fund one or the other and it was one of those years where many worth organizations would receive no funding. Mr. Plaskon thanked the Council for the explanation and said he understood the situation. There being no further business and no questions from the audience, Mr. Foster moved to adjourn the meeting at 8:20 p.m., was seconded by Rev. Tolliver and carried unanimously.